1. POSITIVE INTERDEPENDENCE: Group members get the sense and come to understand that they need each other to complete the task. All the work does not simply rest on the shoulders of one or two individuals. 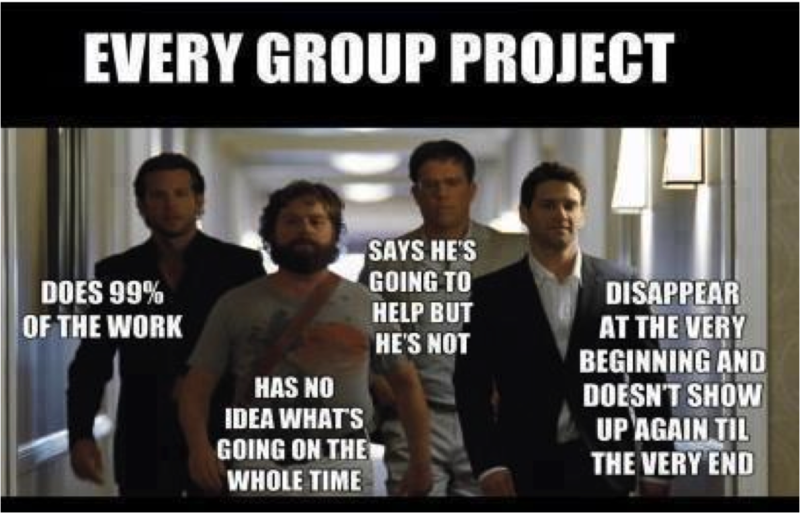 We are not sure who designed this meme, but it certainly illustrates how cooperative learning groups fizzle due to no positive interdependence and no individual accountability, which is Roy’s second critical attribute. 2. INDIVIDUAL ACCOUNTABILITY: Every individual in the group is accountable for content mastery of the learning task. A series of individual roles and responsibilities can increase individual group accountability in such ways that every member contributes to the overall learning goal. 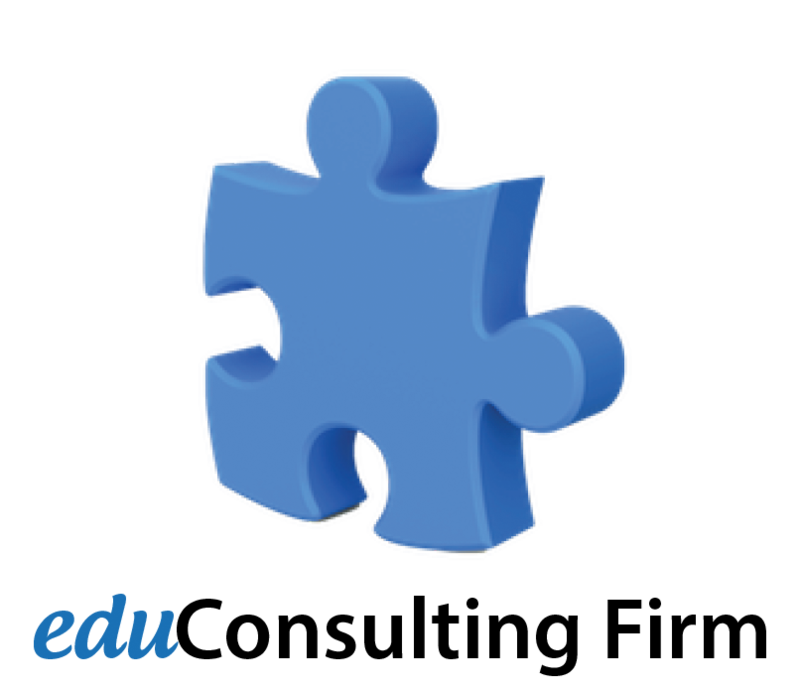 Specificity: Additionally, we believe roles should be designed and assigned relative to both the context and the content of the cooperative learning task. For example, a Media Literacy Specialist would be essential for tasks that involve reviewing content that is slanted, biased, pundit-produced, and intended to present a particular view to a particular audience. Media literacy skills become highly important. Think about the content and its major components and consider if, for example, a Propaganda Popper, Environmentalist, or other such specialized roles are required. 3. PROMOTIVE INTERACTIONS: Such interactions encourage and promote positive goal attainment and are led and facilitated by the group members themselves. Members provide quality feedback to each other, assist each other in decision-making, and share information–actions which are all targeted toward academic goal attainment. The learning task should be structured in ways that inherently embed promotive interactions through positive interdependence. 4. INTERPERSONAL SKILLS: Social skills are the very bedrock of cooperative learning, and many teachers, like the ILTs with whom we work, confess that interpersonal skills are the missing attribute that often cause them to abandon the process. Social skills necessary for working with others must be directly taught and, ideally, self-, peer-, and teacher-assessed. The following chart and accompanying explanation of levels, devised by friend and colleague Patricia Belvel, outlines which social or interpersonal skills must be in place for individuals to work in groups of 2, 3, 4, and so forth. 5. GROUP PROCESSING: Learning tasks with accompanying checklists, rubrics, and formative assessments include opportunities for groups to determine how successfully they are working together, following procedures, and meeting social and task expectations. Rubrics, self-checklists, and peer and teacher observations should describe and evaluate the desired group behaviors. One of the teachers in the NTN cleverly implements End-of-Class Benchmarks, which outline which portions of an on-going task should be completed by a specified timeframe–in this particular case, the end of the class period. Attached to such a practice, however, should be crystalized measures for providing immediate feedback to groups about benchmark attainment. Poll: Do you use cooperative learning in your classroom? Belvel, P. (2010). Rethinking classroom management: strategies for prevention, intervention, and problem-solving. Second Edition. Thousand Oaks, CA: Corwin. Roy, P. (1990). Cooperative learning: students learning together. Richfield, MN: Patricia Roy Co.
How do you promote collaboration over institutionalized competition? How do you design cooperative learning tasks that embed the critical attributes outlined above? And how do you effectively assess cooperative learning practices through both formative and summative measures that are authentic and performance-driven? Next Post Who Am I? Why Am I Here?